An Avvo rated attorney, Larry is a commercial litigation attorney specializing in business and investment law. He graduated with a Bachelor’s Degree from the University of Notre Dame and a J.D. degree from New York University Law School. He also received Certificates of Study from the University of Madrid, L’Alliance Francaise in Paris, and the Centro Linquistico Italiano dante alighieri in Rome, Italy. Subsequently, he was admitted to practice law and is in good standing as a member of the bar in Florida, New York, and California, as well as in various federal courts across the country. In addition to active law practice, Larry is the Founder and CEO of Tuscan Gardens®, a Florida-based senior living company focused on pioneering upscale Supported Living, Independent Living and Memory Care communities for seniors. Prior to Tuscan Gardens®, Larry was the Founder and CEO of a private equity enterprise development and management company focused on starting, developing and growing business enterprises. He has also served as Chairman or Board Member of many of those investments. He has created some 80 businesses in his professional career selling over $1.5 billion of goods and services, employing thousands of employees and generating hundreds of millions of dollars of investment capital. 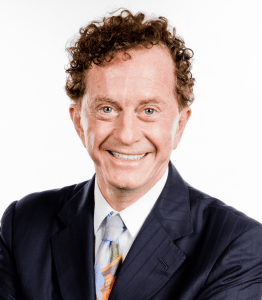 Over the past 30 years, Mr. Pino has transacted numerous real estate, stock, and investment ventures for himself and his clients exceeding $500 million in value. In the last 30 years, Larry has conducted some 5,500 speaking engagements, speaking to over one million people and appeared on 140 radio and television talk shows. He currently teaches a course on Rapid Enterprise Development for the Hamilton Holt School at Rollins College in Winter Park, Florida as an Adjunct Professor. Larry has authored several books including Finding Your Niche, (Berkley-Putnam Publishing), Finding Your E-Niche, The Desktop Lawyer, and Cash In On Cash Flow, (Simon & Schuster). He also co-authored Morphing: Radical Evolution for Revolutionary Times with Dr. Craig McAllaster; retired Acting President Emeritus of Rollins College.